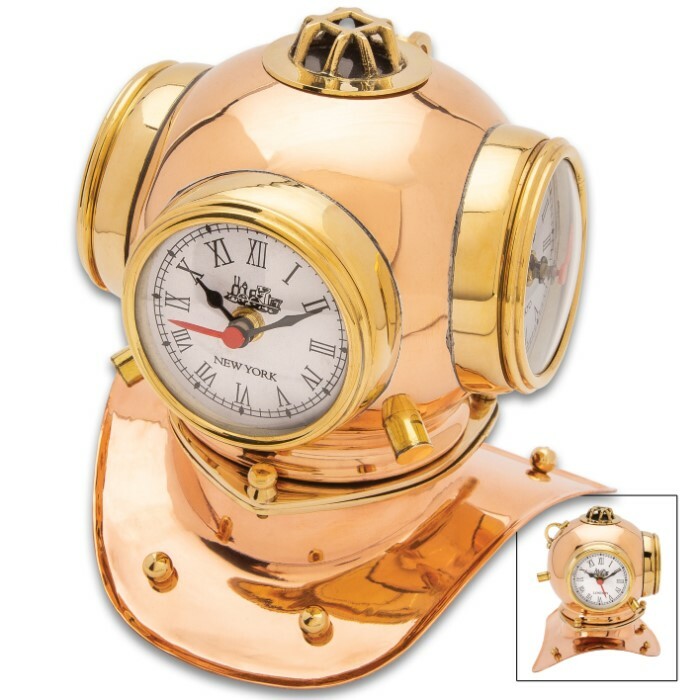 Diver Helmet Three Dialed World Table Clock - High-Quality Copper And Brass Construction, Roman Numerals - Dimensions 8 1/2”x 7 3/4”x 6 1/2” | BUDK.com - Knives & Swords At The Lowest Prices! A high-quality display piece, the Diver Helmet Three Dialed World Table Clock makes a great addition to a nautical-themed room in your home or as decor for your boat. 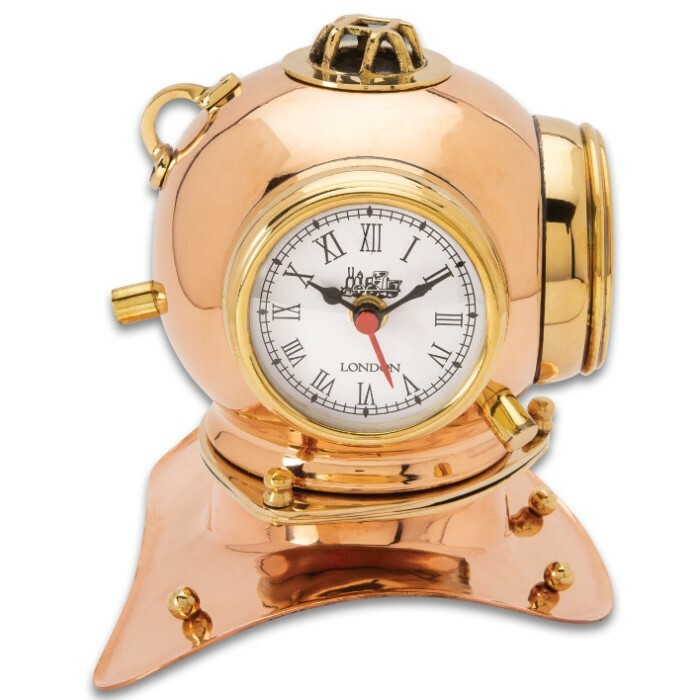 It has a brass and copper construction, which houses three quartz movement clocks (batteries included) that have Roman numerals and second hands. 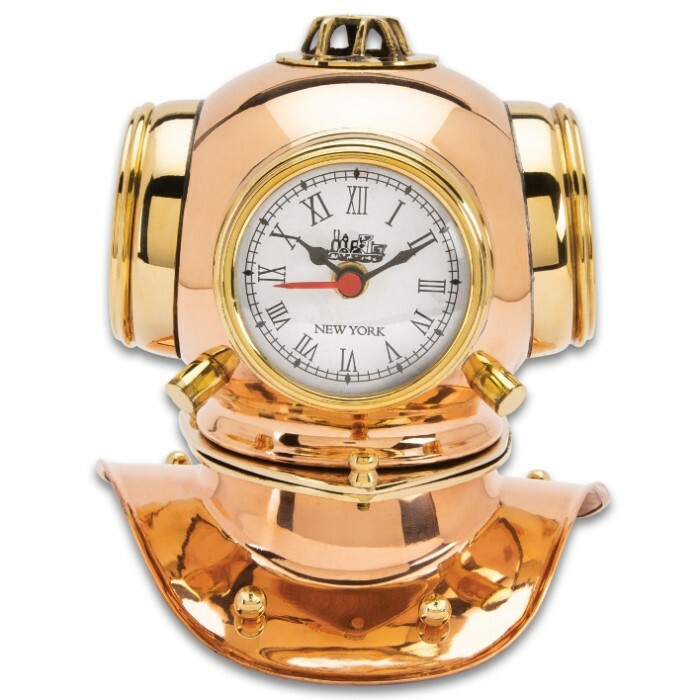 The 8 1/2”x 7 3/4”x 6 1/2” table-top timepiece gives the time in London, New York and Tokyo. 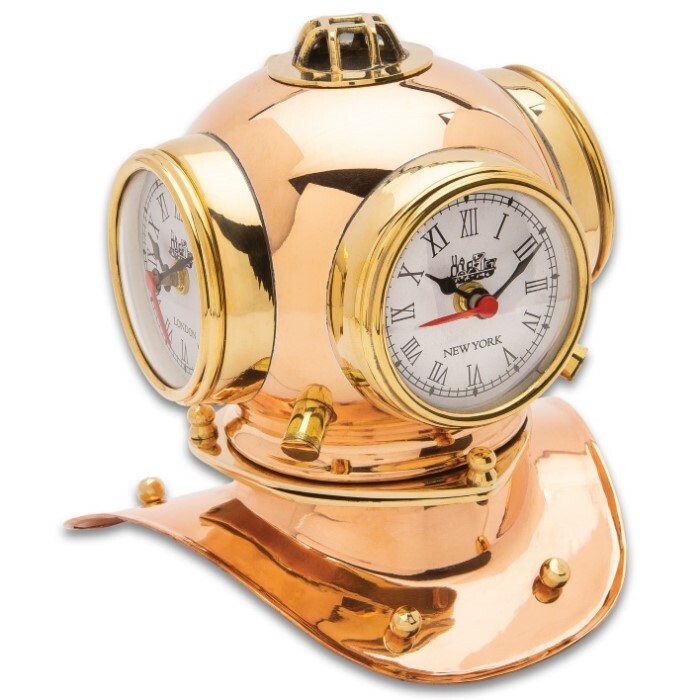 Fine quality and original design make our home decor collection stand above all others!